If you're looking for an 'alternative' movie to check on Valentine's Day next year, you'll be hard-pressed to find a better choice than A Good Day to Die Hard. The fifth installment in the series features exploding cars, buildings blowing up, Russian models wearing (and not wearing) black leather, and Bruce Willis running around with a machine gun (basically, it's Live Free or Die Hard set in Moscow). A new international trailer for the fifth Die Hard teases all that and more, including the dynamic between John McClane and his son Jack (played by Spartacus alum Jai Courtney). We also have a new teaser poster, featuring, well... pretty much the best groan-inducing pun tagline you can imagine for a Die Hard movie set in Russia. The storyline, as you might imagine, is pretty basic: Jack gets in trouble overseas, inspiring good ol' dad to hop a plane and take care of the whole thing - with little to no understanding as to what his son was doing in Russia in the first place - much less how a couple of Russian terrorists (Sebastian Koch and Yulia Snigir) plan to unleash disaster upon the world. Lucy McClane (Mary Elizabeth Winstead) sees her old man off at the airport; from there, it doesn't take long for John McClane to get into his usual amount of trouble (albeit, with the safety and security of the global population at stake this time). A Good Day to Die Hard was directed by John Moore (Max Payne), working from a script penned by Skip Woods (The A-Team). It's safe to say that neither of those gentlemen is aiming to mix things up here, as the film has similar story/character elements and relentless action as that in the first three Die Hard movies - plus the over-the-top set pieces that were incorporated into the fourth installment (not to mention, McClane's newfound invulnerability). 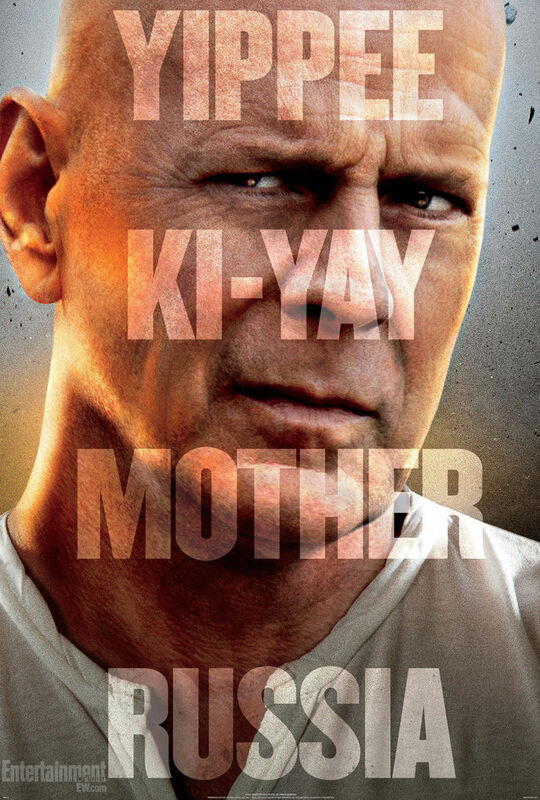 Will you be checking out A Good Day to Die Hard next year on Valentine's Day? Or is four Die Hard movies enough for you?